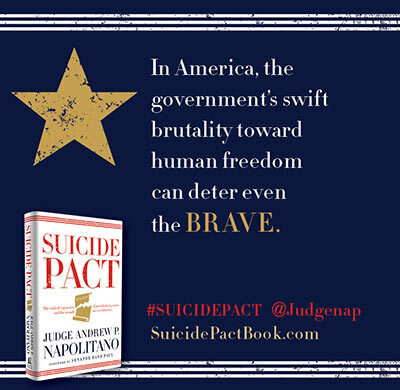 Judge, scholar, bestselling author, and Fox News Senior Judicial Analyst Andrew P. Napolitano is back with a shocking chronicle of America’s descent from a free society to a frightening surveillance state. 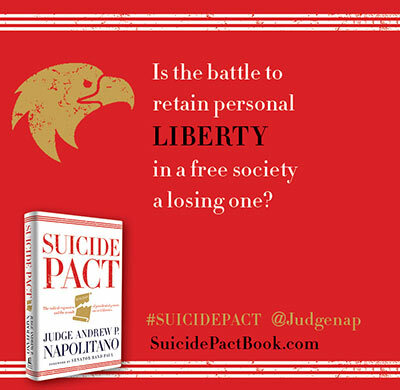 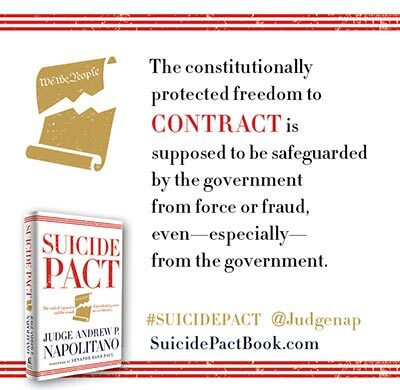 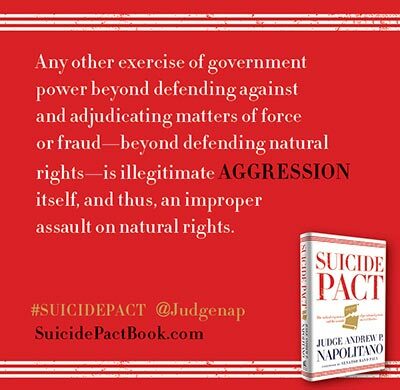 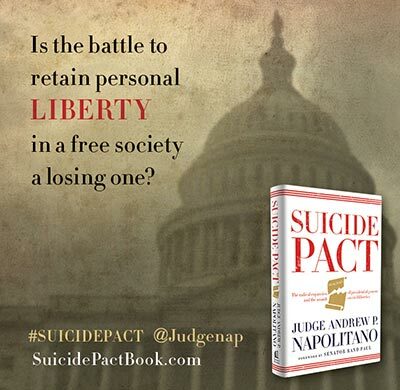 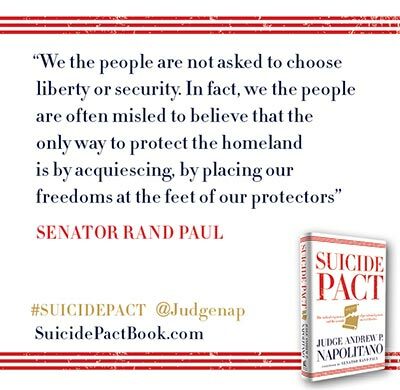 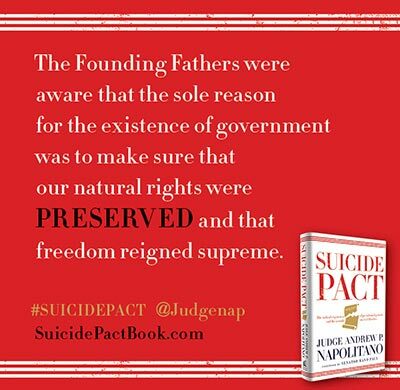 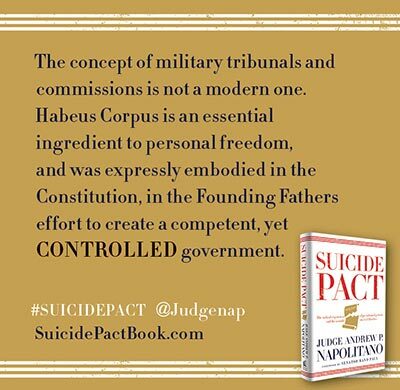 In Suicide Pact, Napolitano details a long, sordid history of governmental—and especially presidential—encroachments on liberty, enacted in the name of protecting America but which serve insead to undermine national security and erode the nation’s founding freedoms. 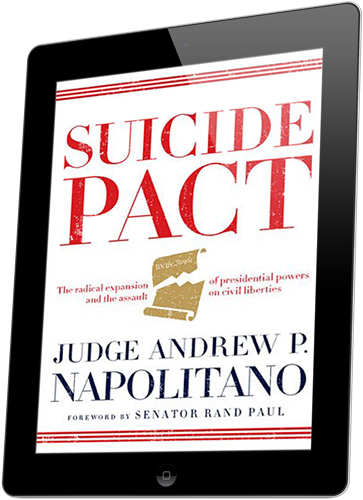 Andrew P. Napolitano serves as the Senior Judicial Analyst for Fox News Channel (FNC). 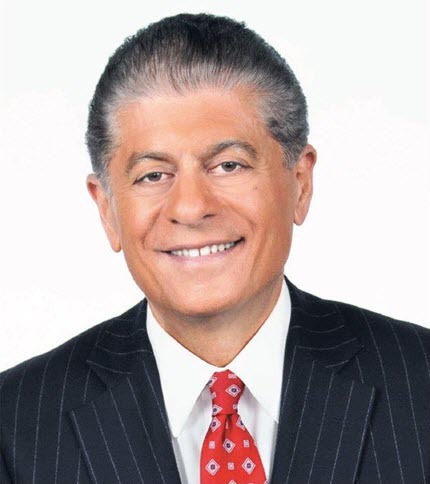 He provides on-air legal analysis on FNC throughout the day on weekdays. 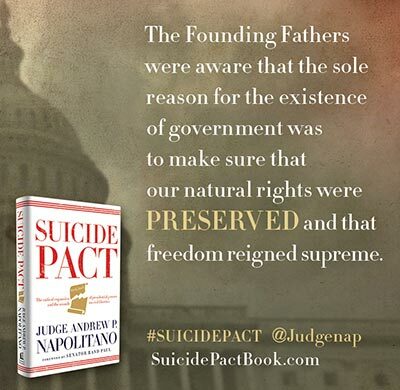 Judge Napolitano is the author of five books on the U.S. Constitution: Constitutional Chaos; The Constitution in Exile; A Nation of Sheep; Dred Scott’s Revenge; Lies the Government Told You, It Is Dangerous to Be Right When the Government Is Wrong, and Theodore and Woodrow. 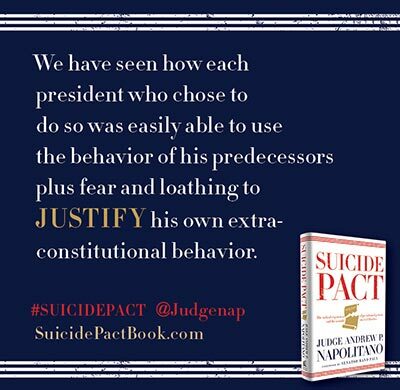 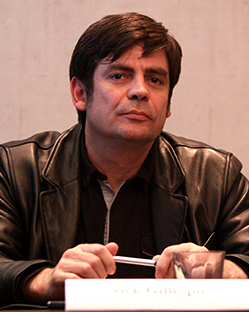 Napolitano’s writings have also been published in the Los Angeles Times, The New York Times, The Wall Street Journal, and other publications. 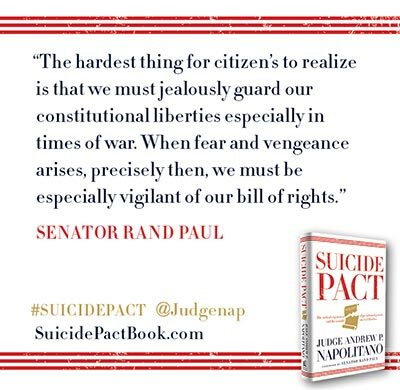 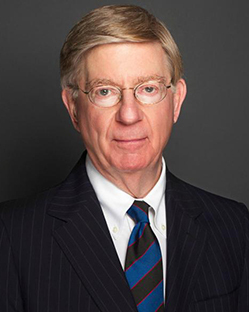 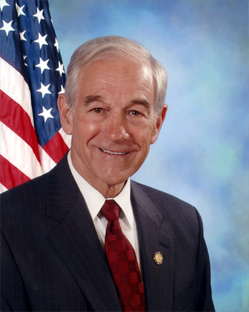 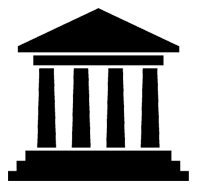 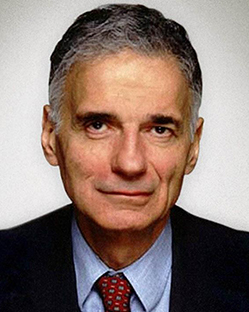 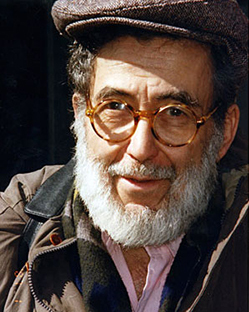 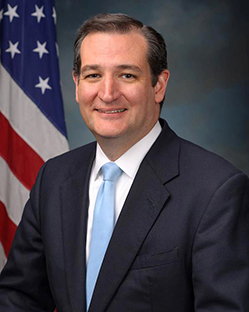 As a nationally recognized expert on the U.S. Constitution, he lectures frequently on the Constitution and human freedom. 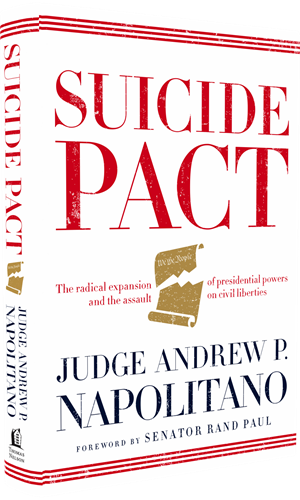 "Former Judge, law professor and author, Andrew Napolitano documents how unlimited perpetual wars concentrate unaccountable power in the Presidency and proceed to shred constitutional boundaries and due processes, crush public budgets and expand an American Empire that, like all Empires, will eventually devour itself. 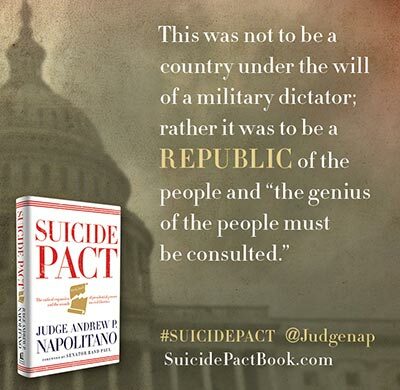 Read the gripping details about how our constitutional balance of powers and individual rights are being repealed de-facto by the merger of political and economic power that led to President Eisenhower’s farewell warning regarding the “military-industrial complex” and its destructive impact on our liberties. 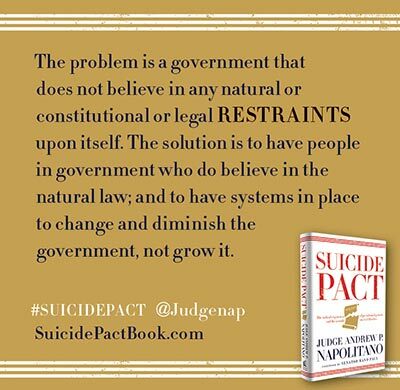 Whether you’re Left or Right, Napolitano’s documented thesis will resonate." 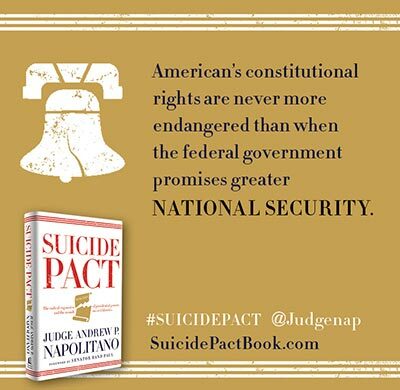 "Today, our constitutional liberties are under assault, and Judge Napolitano's sharp legal analysis documenting the steady erosion of American freedom should be a wake-up call for Republicans, Democrats, Independents, and Libertarians alike." Nobody in America today is a stronger and more energetic champion of individual rights, natural freedom, and strictly limited government than Fox News' Judge Andrew P. Napolitano.  Suicide Pact is his best work yet. 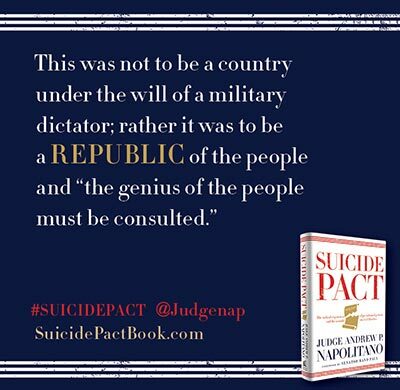 It's a can't-put-it-down history lesson, a page-turning legal argument, and his single-strongest statement ever on just how far America has strayed from its promise of being a government of laws and not of power-hungry men. Suicide Pact doesn't just dazzle with its historical reach and depress with its unvarnished depiction of executive-branch power grabs; it provides a map for how we can all fight back and move into a future that delivers fully on individual freedom. 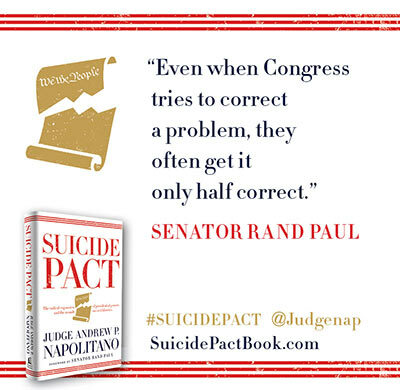 Even when I don't agree with him (a rare occurrence! 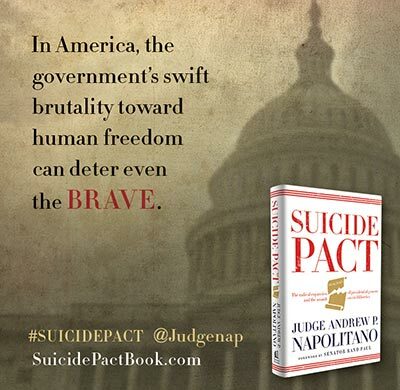 ), I learn more from Judge Napolitano than any other legal analyst and writer. 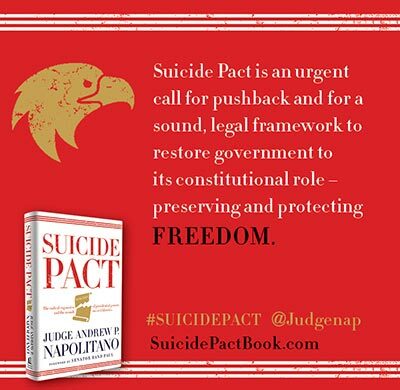 If you care about your freedom, your country, and your future, read Suicide Pact and pass it along to everyone you know.